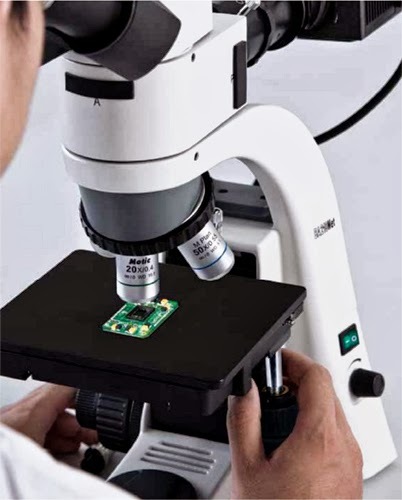 When do you need a metallurgical microscope versus a stereo microscope? 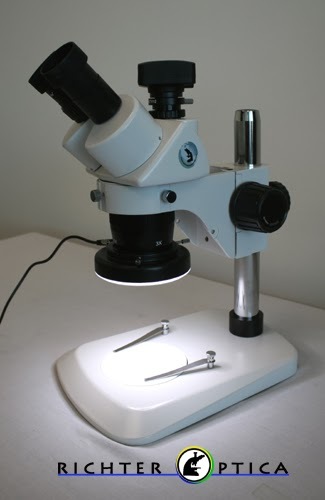 Both of these types of microscopes offer reflected illumination, which means light will shine down from above the object, which makes it possible to view opaque specimens. S2 Stereo Microscope with an LED Ring Light. Stereo microscopes will typically offer anywhere from 7x-50x magnification - which is a relatively low magnification. 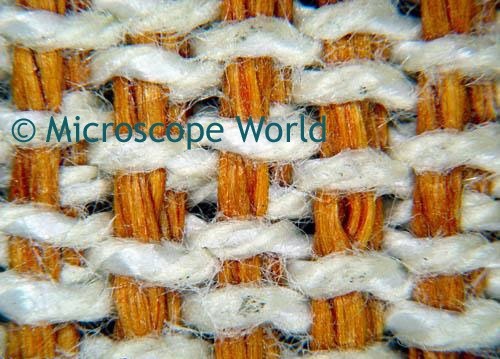 At 40x magnification your field of view is made up of 5mm. 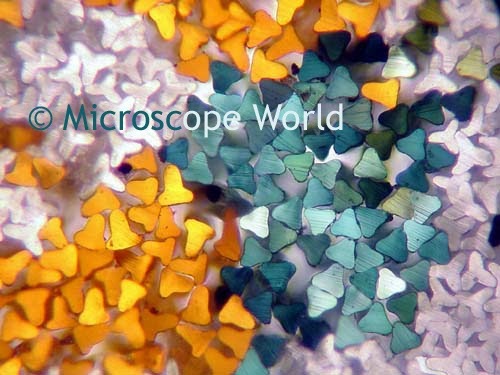 If you need to view micron size particles you will need a metallurgical microscope. Metallurgical microscopes have a light that shines down through the objective lens. Magnification is usually 40x or 50x, 100x, 200x, and 400x or 500x. If you have a solid object that does not allow light to pass through it, you will need either a stereo microscope or a metallurgical microscope in order to view your specimen in depth. Which microscope you need depends on the size of the particles you wish to view. Keep in mind that more magnification is not always better since it does reduce your overall field of view.